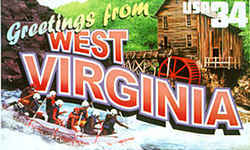 West Virginia was named for Queen Elizabeth I of England (she was known as the Virgin Queen). Sir Walter Raleigh may have suggested this name around 1584. West Virginia was named in honor of Elizabeth, "Virgin Queen" of England. Until 1861 West Virginia was part of Virginia. Virginia was named to honor Queen Elizabeth of England often referred to as the "Virgin Queen." Mountains: West Virginia gets it nickname from all its mountains and hills such as the Appalachian Mountains extend through the eastern portion of the state. Mountains: This is another nickname given because of the mountainous terrain of West Virginia. Early settlers tended to compare mountainous areas of the new land to the mountains of Switzerland. Shape: The borders of West Virginia tend to follow the contours of the land, winding between mountains, along mountain ridges, and along river beds. Two long, slender extensions of the state give West Virginia the nickname, "The Panhandle State." The land that extends eastward between Maryland and Virginia is referred to as the Eastern Panhandle. 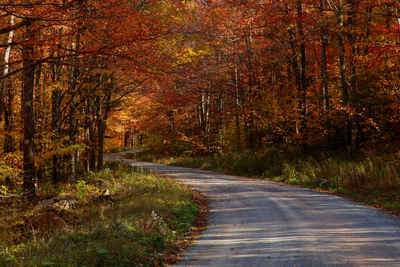 The strip of land that extends north between Ohio and Pennsylvania is referred to as the Northern Panhandle.